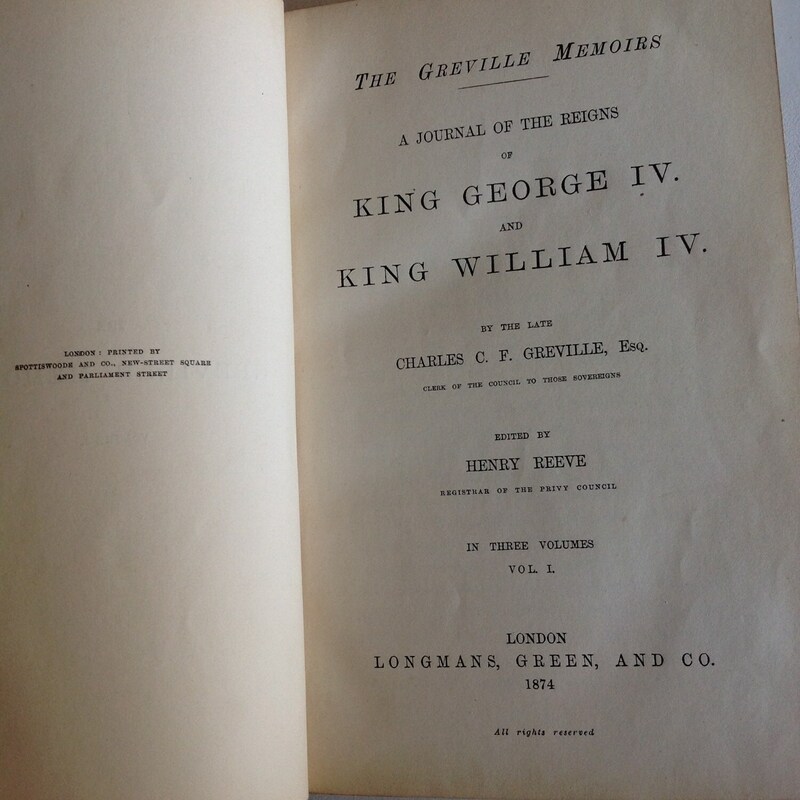 Offered here is the first or second edition set of The Greville Memoirs A Journal of the Reigns of King George IV and King William IV by Charles C. F. Greville in Three Volumes (I-III). 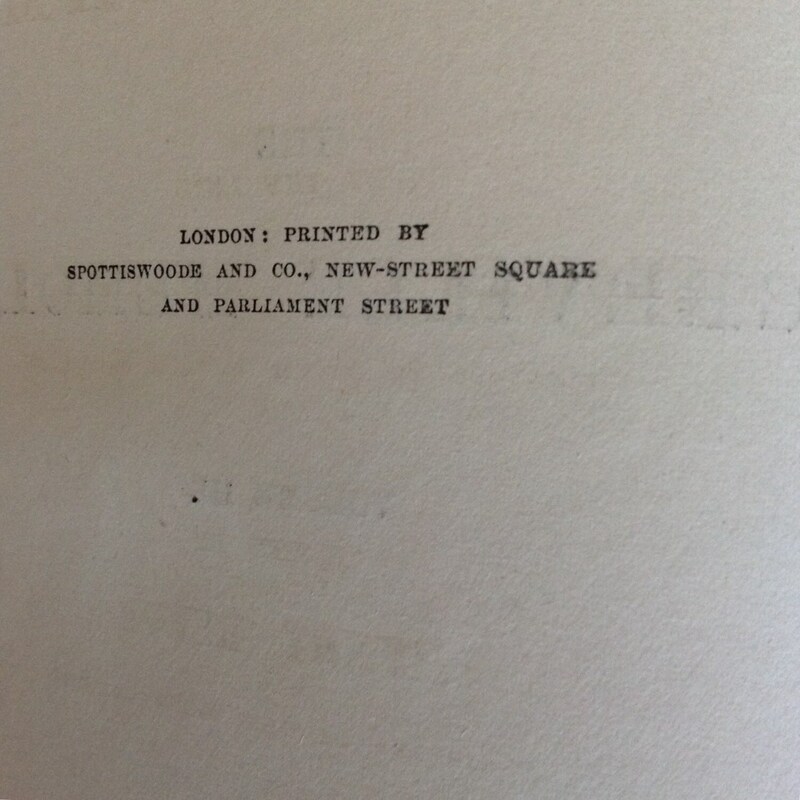 Edited by Henry Reeve. London, by Longman, Greens and Company. 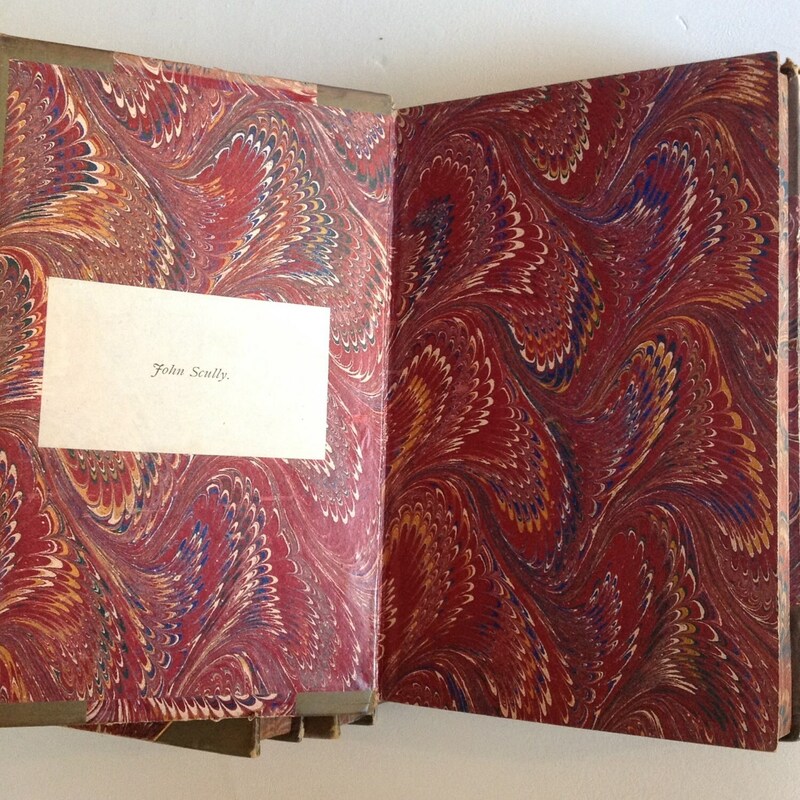 These medium-sized faded olive leather and heavily burgundy marbled first edition volumes are lovely on the shelf. 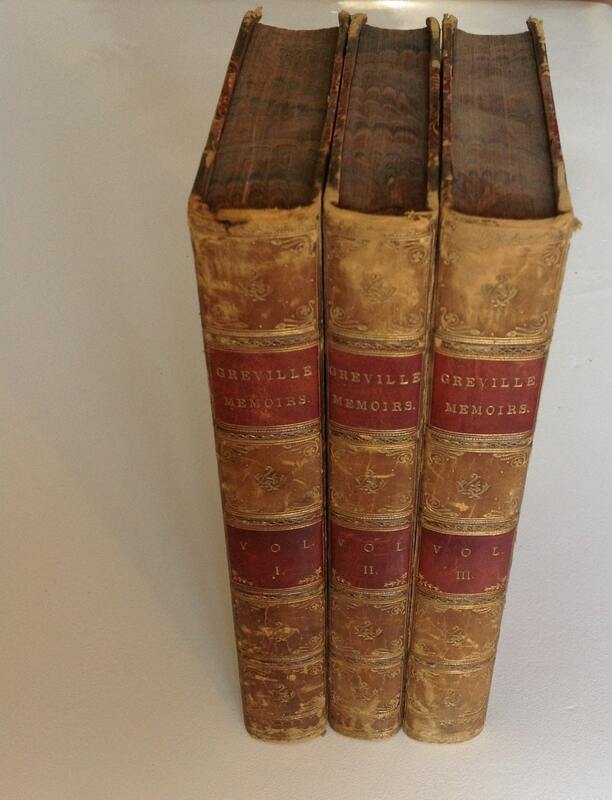 Gilt lettering, raised spine ridges, and good quality bindings. Books are over 1,000 pages combined (424, 384, and 432 pages respectively). 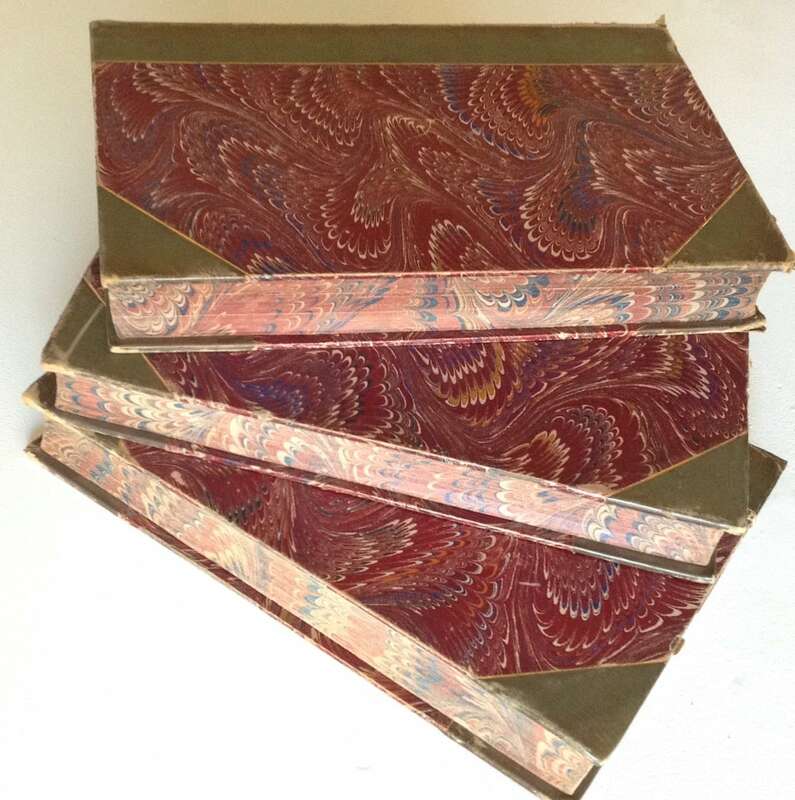 This set comprises the complete first seriesCondition is good with ex libris stamp each belonging to well known Jesuit, John Scully who was President of Fordham University in New York. Minor scuffing and fading to outer covers as shown (especially at corners). No other major flaw or defect. Pages bright and clean with minimal foxing. A few minor penciled numbers etc.. Overall excellent. Additional photos available upon request.